Parents in Fullerton, Calif., Ashland, Mass., and other cities are demanding relief from Wi-Fi in schools. Fox 5 did a segment on cellphone dangers Jan. 21. Topic is a key one for PR people who are heavy cellphone and computer users. The 3:14 Fox 5 segment on the 6 p.m. newscast, hosted by Ernie Anastos, told users to keep cellphones at least ten inches away from the head, don’t carry them in a front pocket, and restrict children’s use of the phones. The segment is a mild warning compared to all-out campaigns being conducted by parents in some schools and libraries. Parents of students at Troy high school, Fullerton, Calif., on Dec. 18, 2015 sent a “formal demand” to the Parent Teacher Student Assn. of the 2,800-student school calling for removal of wireless equipment from classrooms. Further radiation exposure comes from cellphone and other wireless devices used by students, the letter says. The letter said the PTSA “actively and deliberately worked to bring RF-radiation into our children’s school environment.” It notes that the PTSA donated $19,241 for the purchase of wireless Chromebooks for use by students. The public library of Ashland, Mass., is conducting a six-part series of lectures running from Oct. 8, 2015 to Feb. 11, 2016 on the health hazars of computers, cellphones, wireless routers, tablets, baby monitors, “smart” utility meters, and cellphone towers. Discussions that follow the presentations “are often lively and thought-provoking,” says the library. Diane Hickey, co-founder of the National Assn. for Children and Safe Technology, sent an email on Jan. 22 to Mayor Maria Moore of Westhampton Beach, trustee Ralph Urban and former trustees Patricia DeBenedetto and Hank Tucker, asking them to consider the demand letter of parents to the Troy High School PTSA. The email was addressed to the “Westhampton Library Board Trustees” which is a different board. Also, Hickey was not aware that DeBenedetto and Tucker have been replaced on the WHB board by Rob Rubio and Brian Tymann. Hickey can be forgiven for mixing up the library and WHB boards. Sometimes library and WHB trustees are the same people. Joan Levan and Hank Tucker were on the library and WHB boards in 2010. Mayor Moore was on the library board for several years until last August when citizens pointed out this compromised the independence of the library board. Things are back to square one since Thomas Moore, husband of Maria, was named president of the library board last year after four of its five members resigned. The O’Dwyer Co. has forwarded the Hickey letter to the board of the library and library director Danielle Waskiewicz. There is no publicized program by the WH library on the hazards of Wi-Fi radiation. NACST, conducting a campaign about the health hazards of electromagnetic radiation under theme, “Turn It Off 4 Kids,” says latest scientific evidence removes any doubt that the radiation is dangerous. It quotes studies by Prof. of Oncology Lennart Hardell, M.D., and statistician Michael Carlberg of Orebro University Hospital, Sweden. 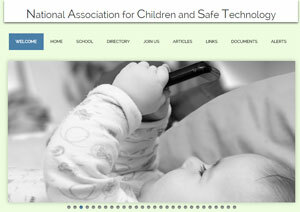 NACST wants all new school technology to be hardwired and the replacement of existing systems with hardwired systems, and an educational campaign to alert people and especially children and pregnant women about the hazards of EMF. Placement of the article, which ran in the business section rather than on page one of the general news section, has already drawn criticism. Saturday is known as a day when minimal exposure is wanted for a story. The story was of interest to the general readership of NYT and not just those interested in business news. EHT says that NYT’s article left out the fact that information about the health risk of radiation to children had been removed. Time Warner is replacing modems used by its New York and other customers with a new and more powerful Arris TG1672 modem that automatically radiates a home or apartment 24-7 with Wi-Fi signals. Not only must an Ethernet cable be used with it plus a wired keyboard and wired mouse, but TW must be called and asked to turn off the Wi-Fi. We did that last week since we had made the conversion several weeks ago. It took about ten minutes but it is a call well worth made. 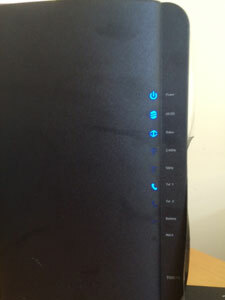 Two of the seven lights on the modem went out including the “5G” light meaning Fifth Generation. Jeromy Johnson, Silicon Valley executive, tell how Wi-Fi and other sources of electromagnetic radiation turned his life upside down. He came back from vacation and suddenly found he was afflicted with intense headaches, heart palpitations, tinnitus and insomnia. While he was away, the local utility installed a bank of wireless “smart” meters below his bedroom designed to measure electrical use. Johnson learned from doctors that he had become “electro-hypersensitive.” He must avoid wireless technology and “electrical pollution” or suffer severe physical symptoms.